Endorsed by ACFHP in FY2012. This project, led by The Nature Conservancy, Southeast Aquatic Resources Partnership, and the South Atlantic Landscape Conservation Cooperative, is a GIS-based assessment that compiles a regional database of known and potential barriers to aquatic connectivity, with an emphasis on dams. These data are used in conjunction with other relevant data (biological, land cover, etc. ), to assess barriers and develop a relative prioritization based on each barrier’s potential to benefit migratory and resident fish species if removed or bypassed. 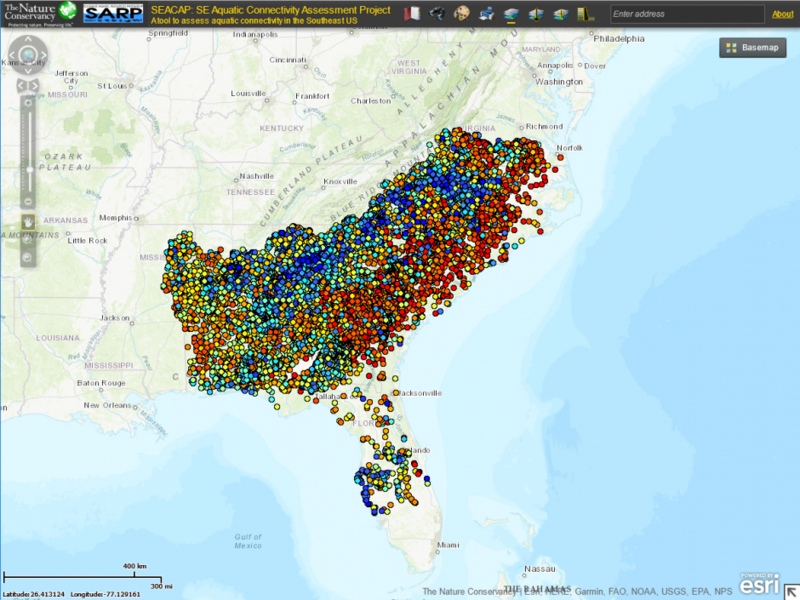 Final products also include an interactive web map and tool that allows users to run custom assessments at various scales and based on user specified parameters. 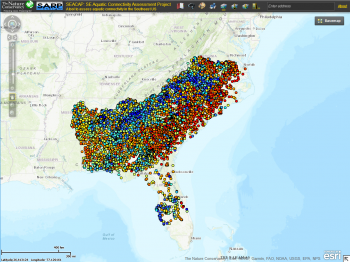 The Southeast Aquatic Connectivity Tool can be accessed here. For more information on the project, contact Erik Martin. Text and image provided by TNC and SARP.